Los Angeles, CA – As the National Fire Protection Agency (NFPA) clamps down on ever more stringent standards for preventing and suppressing commercial kitchen fires, you must keep your establishment compliant. According to data gathered by the NFPA, between the years 2010 and 2014, over 7000 fires were reported in eating/drinking establishments. During that time, these fires injured over a hundred people, killed several and cost about $165 million in damages. 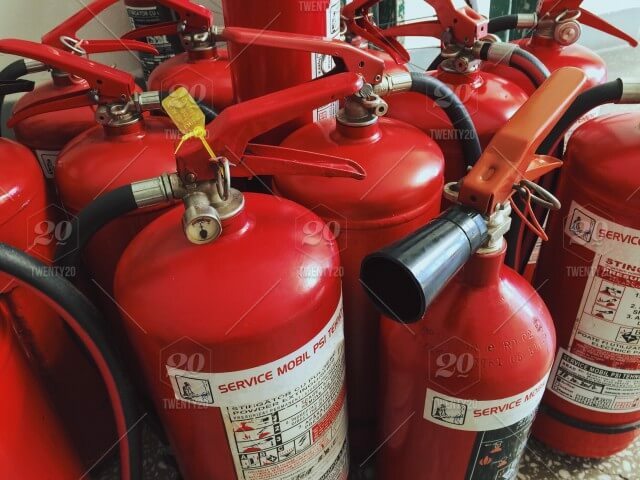 The first step to complying with NFPA standards is to install all the various fire suppression systems inside your facility. The right number of fire alarms, sprinklers, and fire extinguishers for the size of your restaurant must be installed. A good relationship with your fire protection company is a plus, as you may need all these maintained or repaired at some later time. Make sure your hood vent, ductwork and grease filters are well installed and routinely cleaned. An innocent flambé can become a huge hazard when the stove hood is full of oily buildup that can spread quickly through the building. The same standard applies to floors and walls–they must be periodically and professionally power-washed and degreased. This way, they won’t end up becoming fire-conducting surfaces. All kitchen employees must be trained on fire safety and suppression techniques. They must be familiar with the use of the fire extinguishers, and understand the fire alarms and sprinklers. Escape routes must be unobstructed and clear to all employees. Conduct periodic drills. The NFPA now offers thorough on-site employee training, by sending one of their educators to your location. If you would like to equip your business with fire suppression devices, call National Fire Protection at 1(800)990-9631. We serve throughout Los Angeles and Denver. We also offer fire restoration services, restaurant construction, commercial kitchen cleaning, and hood/duct/fan installation.